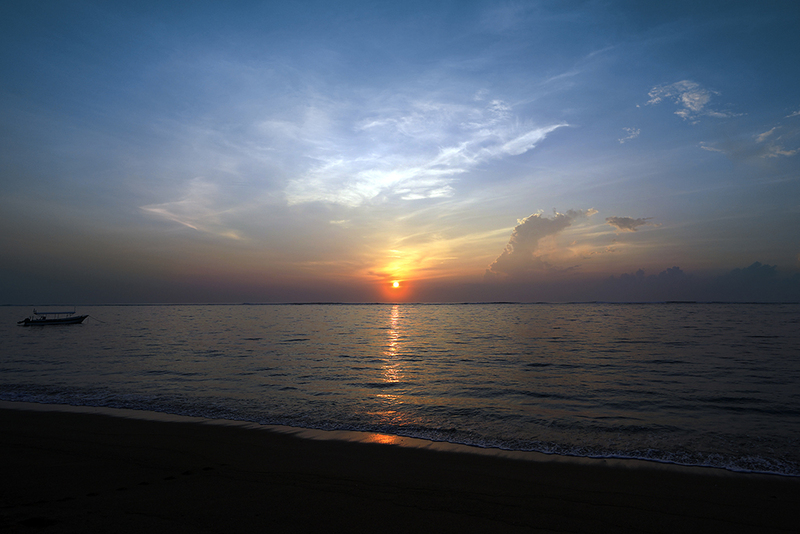 Bali's world-famous beaches lure thousands of visitors to the country’s fabulously sun-kissed shores each year. People can’t seem to get enough of the seaside nature, local customs and beach activities. Learning to surf, fishing, diving and stand-up paddle boarding – they’re all possible when you’re in Bali. 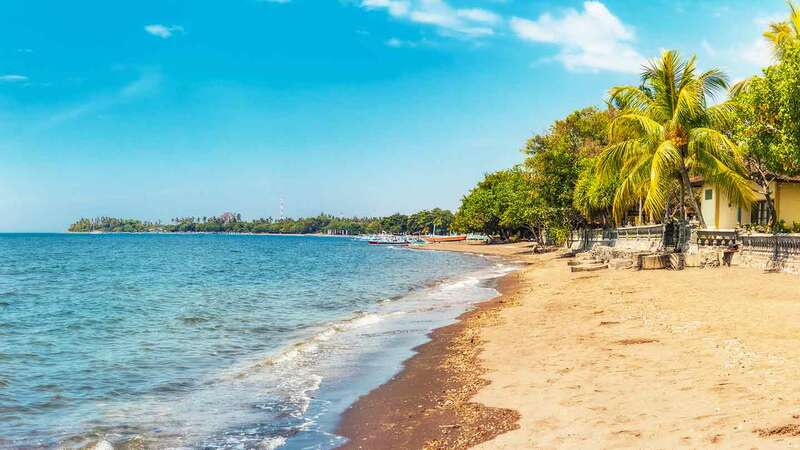 From the hustle and bustle of Kuta to the tranquil surrounds of Lovina, the island’s sublime shoreline provides the perfect excuse to get away for some sun, sand and surf in a spectacular island setting. Kuta Beach may be far from Bali’s best-kept secret, but its enduring popularity doesn’t mean you should stay away. 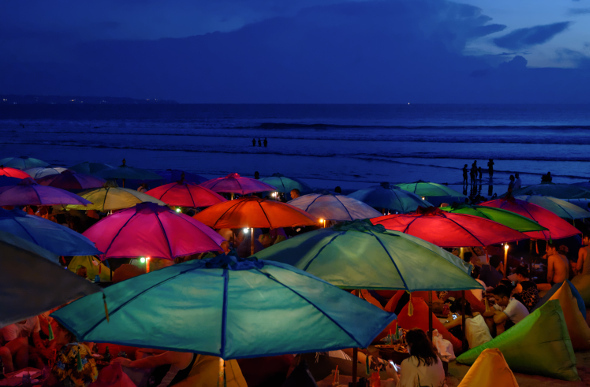 In fact, Kuta’s famous white sands and spectacular sunsets are always a must-see, so join the crowd, pick a patch of sand and sip on a Bintang as the sun goes down on one of Southeast Asia’s most famous beaches. Wedding photographers love it, surfers swear by it and travellers aiming to enjoy an afternoon paddle tread quietly to reach its soft white sands. Balangan is one of Bali’s more secluded beaches, making it the perfect getaway for visitors looking to beat the crowds and relax in their own private patch of Bali beachfront. Not so much a beach as a cluster of luxury resorts fronting the Bali Sea, the coastline of Nusa Dua is famous for its soft sands and gentle waves. The perfect place to simply lie back and relax, this pleasant stretch of shoreline welcomes tourists from around the world – all eager to kick off their shoes and unwind in an idyllic beachfront setting. 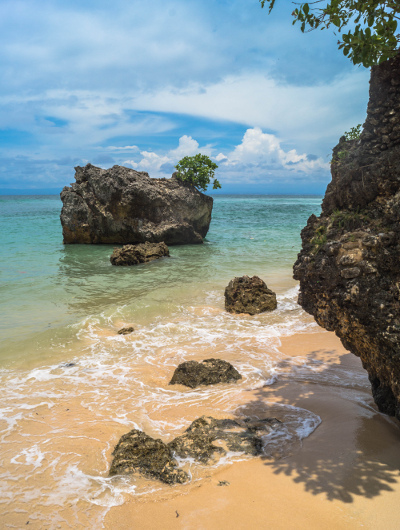 As famous for its unique entrance as it is for the calm turquoise waters lapping at its shore, Padang Padang is loomed over by a rocky outcrop which narrows into an unforgettable cave entrance to the beach. Once on the beach, Padang Padang’s silky white sands and surf-sized waves make this popular cove an unforgettable Bali beachside experience. 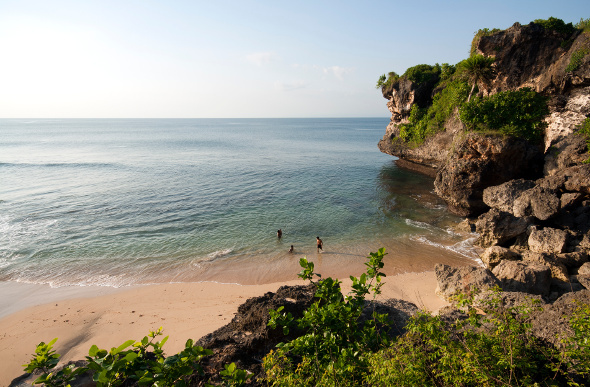 Located on the southern tip of the Bali peninsula, Jimbaran is much more than just a beach. 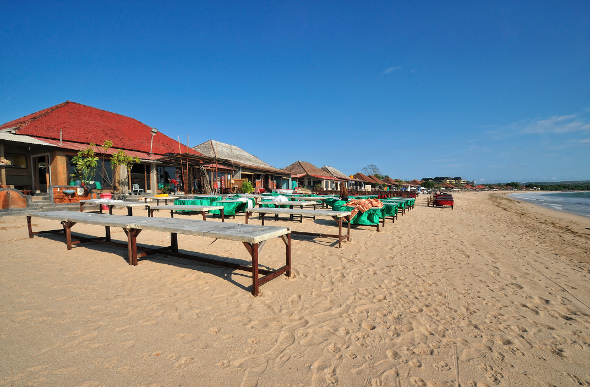 In fact, this small fishing village is home to some of the island’s most upscale resorts, and they make good use of the picturesque beach overlooking Jimbaran Bay. Livelier than some of Bali’s more secluded beaches, Jimbaran is the perfect place to indulge in a seafood dinner as the sunsets over the bay. Now one of Bali’s trendiest enclaves, Seminyak epitomises Bali’s transformation from a far-flung island outpost to a chic metropolitan destination. 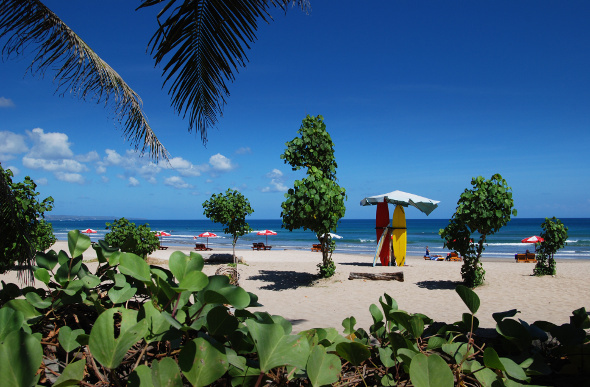 Teeming with restaurants, bars and boutique outlets, Seminyak is also home to a popular grey-sand beach. It’s best viewed at dusk, when the sun sinks slowly beneath the horizon. There’s a reason the resorts moved into Sanur early, with this quiet coastal district less hectic than some of its Bali neighbours. 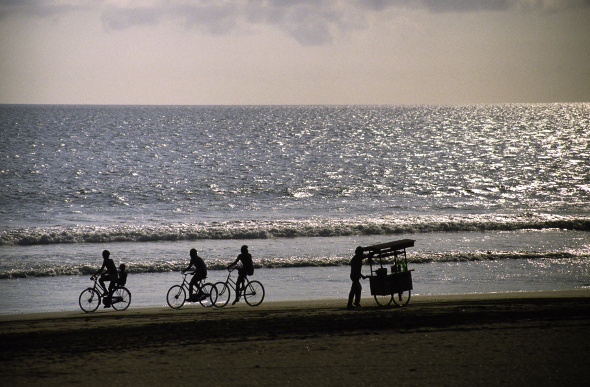 Sanur’s popular beach is lined with fine volcanic sand, while the long, winding path alongside the beach makes it a great place for cycling. 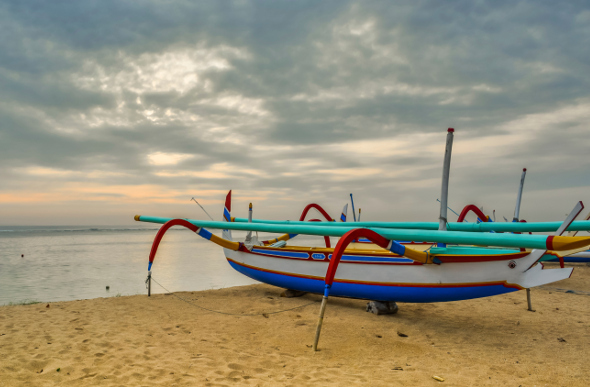 Indeed, outdoor activities abound in Sanur, where Balinese locals fly elaborate kites in the prevailing coastal breezes. While Bali boasts plenty of beaches best experienced with a surfboard in hand, the relatively placid Geger Beach is the place to be to simply soak up some sunshine. Take a dip in the gentle turquoise surf, stretch out on the sand or take a stroll along this chilled-out patch of coastline in what is one of Bali’s most peaceful beaches. Remote, well-hidden and a world away from some of Bali’s busier beaches, White Sand Beach is an ideal spot to indulge in some snorkelling or to simply get away from the crowds. Approached via a bumpy track best negotiated in a 4X4, White Sand Beach makes the most of its seclusion by turning on some of Bali’s prettiest scenery. 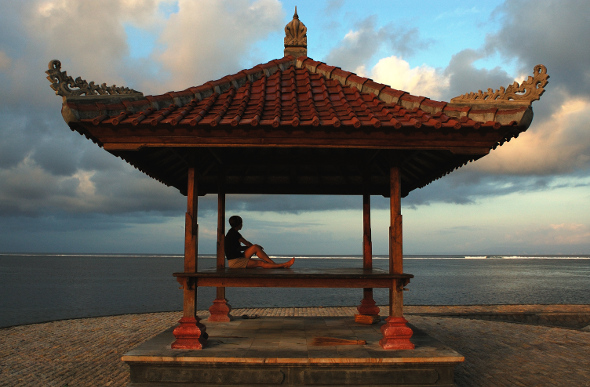 A pioneer of Balinese tourism, Lovina is about as far removed from the hustle and bustle of southern Bali as it gets. Located on the far north of the island, this long-time tourism favourite boasts a vast stretch of black-sand beach. Its tranquil waters are perfect for swimming, while the region’s laidback vibe and friendly locals ensure it’s impossible to leave feeling anything other than relaxed. The sweeping sands of Lovina Beach.